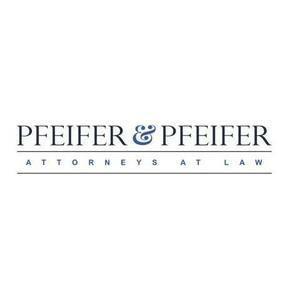 At Pfeifer & Pfeifer, Attorneys at Law, we have more than 50 years of criminal litigation experience. We understand how the process works, and you can be sure that we will stand by you and work with you toward the results that you need! In addition to the sound advice that we provide our clients with, we are dedicated to ensuring that they are well informed so that they may make educated decisions regarding the situation that they face. If you choose to work with us, then you can be sure that you will receive answers, information, and advice from our firm. In addition, we understand the emotional hardship that you are facing if you have been charged with a crime, and you can be sure that we will work to dispel any unnecessary fears by educating you regarding the possible outcomes as well as the penalties that you could potentially face. Our firm understands the difficulties that you face, and you can be sure that we will put our five decades of litigation experience to work for you if you choose to work with us. We offer a free initial consultation and reasonable fees so that you may meet with us and begin discussing your situation and so that you may obtain some information regarding how we may proceed with your case without any financial commitment on your part.